What my company is REALLY about. | The Solar Nerd. What my company is REALLY about. 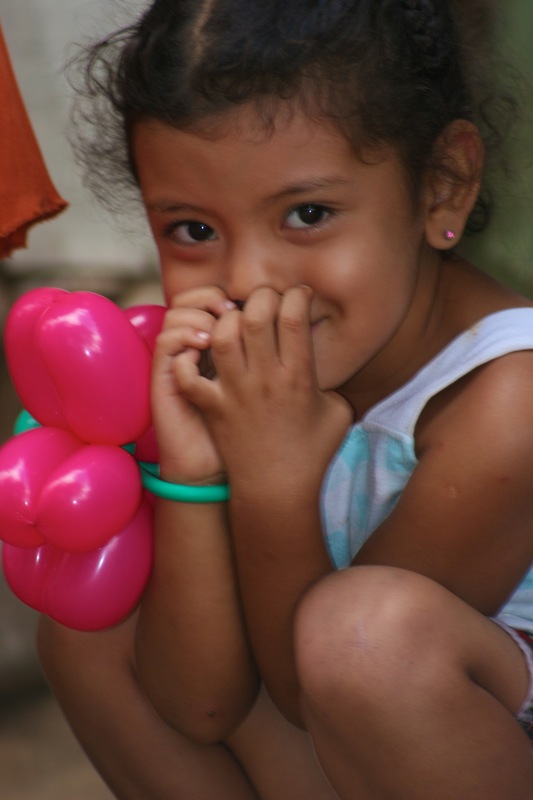 This is a little girl in a village outside Trojes, in the southern portion of Honduras. I made her a flower bracelet when we were in Central America in 2012 to install water filters with an organization called Pure Water for the World. The $60 water filters we install prevent these beautiful children from dying of cholera, dysentery and E coli infections. A simple filter keeps the shadow of death from darkening the door of this little girl’s home. One my main motivations in growing Balloon Distractions is to be able to buy 1,000 water filters each year across Central America. This is my GOAL by my 50th birthday. It will cost about $60K for those filters. You have to build a pretty big business to be able to spend that much. I’ll be going back to Honduras in April of this year, and every year after that, for as long as I’m able. Maybe you are reading this and looking for SOMETHING of purpose in YOUR life. This company is just a conduit, a blessing, a force of good for children here and abroad. If you decide to work with us you will gain far more than a paycheck, join me next year in Honduras, make these beautiful children a balloon and help us bring clean water to a village that has never had it, you’ll never be the same afterwards. ← Faith transformed me as an entrepreneur.